Waukesha WI offers you beautiful, unique classic homes or the best of modern build and design for your next home! Just west of Milwaukee County, Waukesha offers you convenient access to great shopping, dining, and entertainment venues. 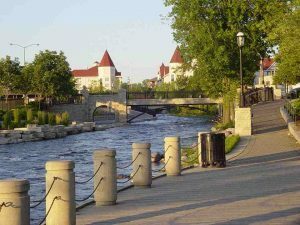 Community and neighborhood parks are a staple of Waukesha and add to the strong sense of a modern and growing community with a desirable and homey mid-sized city feel. Waukesha offers plenty of indoor and outdoor activities that can be enjoyed year round. Good News for Waukesha Home Sellers! Have a look at the available Waukesha homes below and give the mortgage brokers at NextHome Lake Country a call.